We are a leading Manufacturer of hzd 160 electric plate compactor, vc95 gasoline plate compactor, fpc 90 plate compactor and forward reverse plate compactor from New Delhi, India. Electric Plate Compactor offered feature convenient placed foldable handle support as well as heavy-duty shock mounts that perfectly support the demands of effectively reducing vibration to engines. Further, these plate compactors also feature support of open plate spas to provide for effective self-cleaning support. Some of its features include centrally mounted fully enclosed excited for the even spread of force over base plate; can be provided with optional protective frame support; providing for reliable working performance. 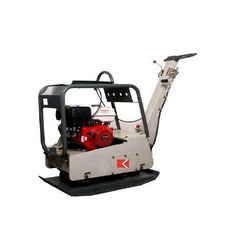 Since our inception, we have succeeded in meeting the quality expectation of our customers by offering an excellent quality array of Plate Compactor. This is manufactured in accordance with the required specifications in order to ensure high efficiency and long working life. We guarantee that each compactor has successfully passed a series of strict quality control measures. 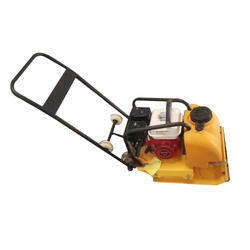 It is ideal for large projects like driveways or subfloors, parking areas, as well as large hardscape projects. 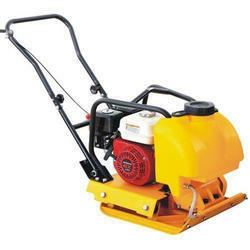 Further, our clients can avail this Plate Compactor from us at various specifications at reasonable prices. These compactors are utilized for the compaction of earth, soil, Foundation, Tranches, Canal Beds, Embankments & Industrial concrete Flooring & Base Road Beds. 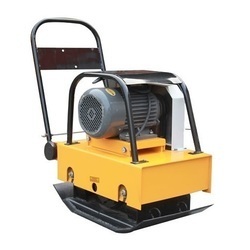 These Hi-tech compactor credited for their better smooth performance and longer durability, are widely used for construction and repairing of roads and also to maintain edges of highways. They are also credited for their sturdiness and easy handling. Forward Reverse Plate Compactor is manufactured by professional’s team using high-grade material and advanced technology in compliance with the international quality standards.